Observations | Juli Wood Sax | I'm Saxomamaphonic! 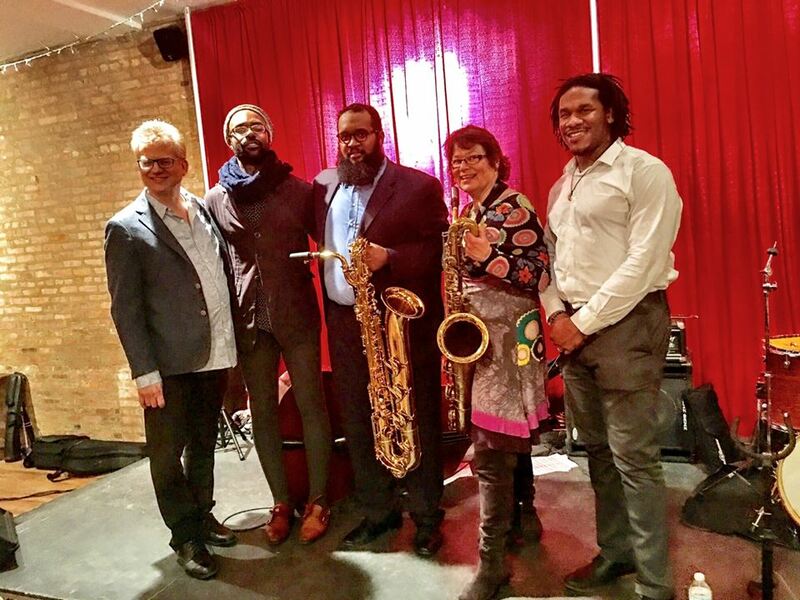 Natalies Wood Plays Roland Kirk will be at the Jazz Showcase on Tuesday June 12th, 8:00 & 10:00, WDCB night so no cover charge ! Bright Moments !! Really had fun with these great players in Baltimore. Tom Williams – trumpet, Lenny Robinson-drums, Tim Murphy – piano, Geoff Harper-bass. Here’s a review of the gig from an enthusiastic jazz fan, Mr Gregory Lewis. 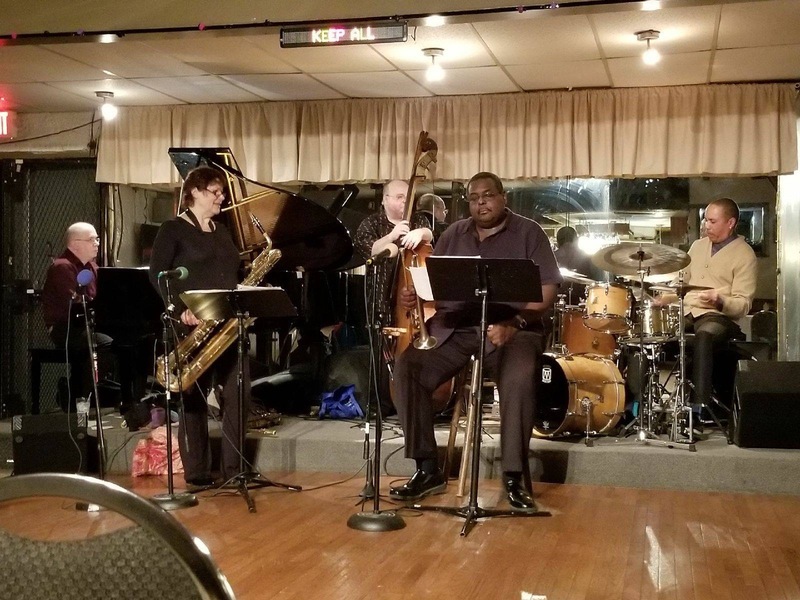 On July 18, 2017, the Caton Castle show featured a quintet headed by Juli Wood on sax and vocals, Tom Williams on trumpet, Tim Murphy on piano, Geoff Harper on bass, and Lenny Robinson on drums. It was a show to remember. Based in Chicago, Juli is new to me (though a pro of many decades) and I confess to having harbored a certain gender-specific skepticism. Horn playing ladies are not the norm, and there are very few female instrumentalists of any kind among the immortals of jazz — organist Shirley Scott comes to mind. 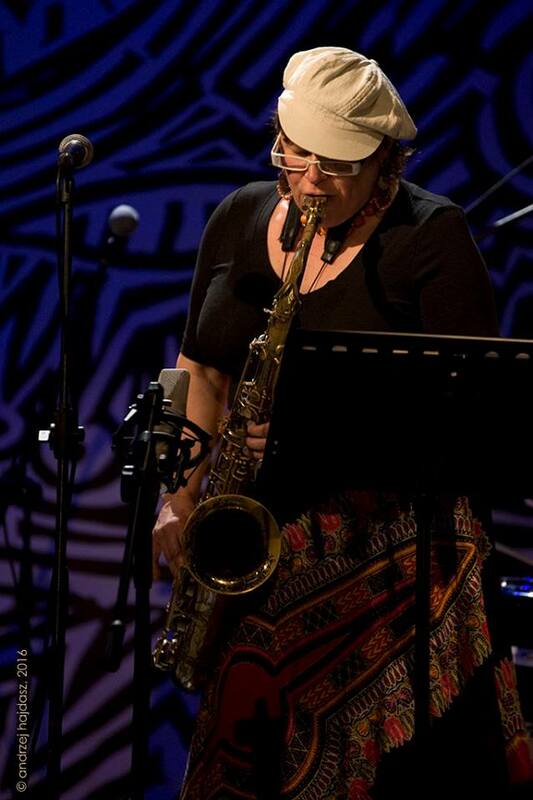 In any event, right out of the box, the sassy tone of Juli’s tenor sax rendition of Benny Golson’s “Blues March” served notice of her formidable chops. 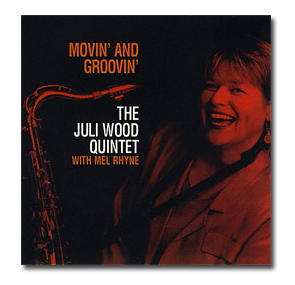 Switching to a Latin tempo on Horace Silver’s “Enchantment,” Juli’s tenor flashed a restrained power, a la Hank Mobley. 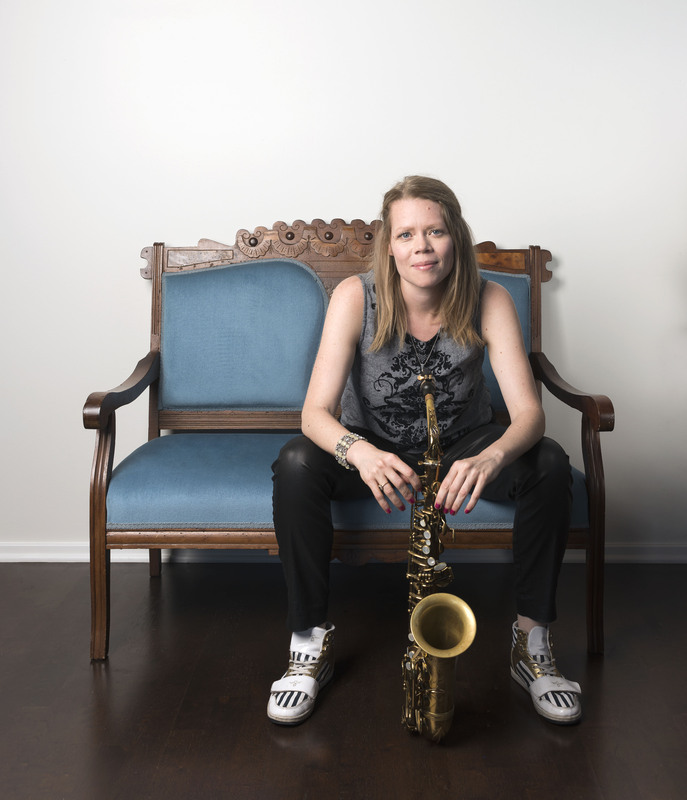 As if that wasn’t enough, Juli then picked up the baritone sax on a spirited rendition of Thelonious Monk’s “Played Twice.” She asked the audience’s indulgence because her locally borrowed big horn, she said, lacked something. 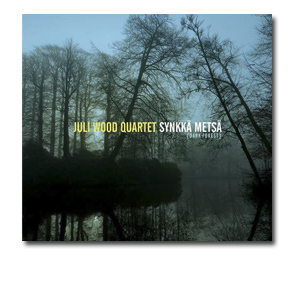 Indeed, Juli alternated all evening about equally between the two horns, referencing along the way the great baritone saxophonist “Pepper” Adams, an obvious influence. 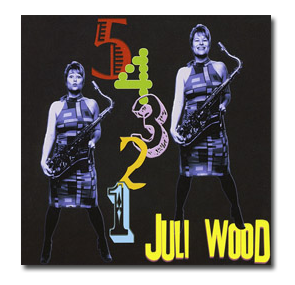 Juli Wood is the real deal. There’s an old TV commercial for an after-shave lotion that shows hands slapping a man’s face, to which he responds: “Thanks, I needed that.” Yeah, that was my response to Juli’s first set. At the break, I purchased her CD. There were some familiar faces in the quintet. Drummer Lenny Robinson is a fan favorite at the Caton Castle. 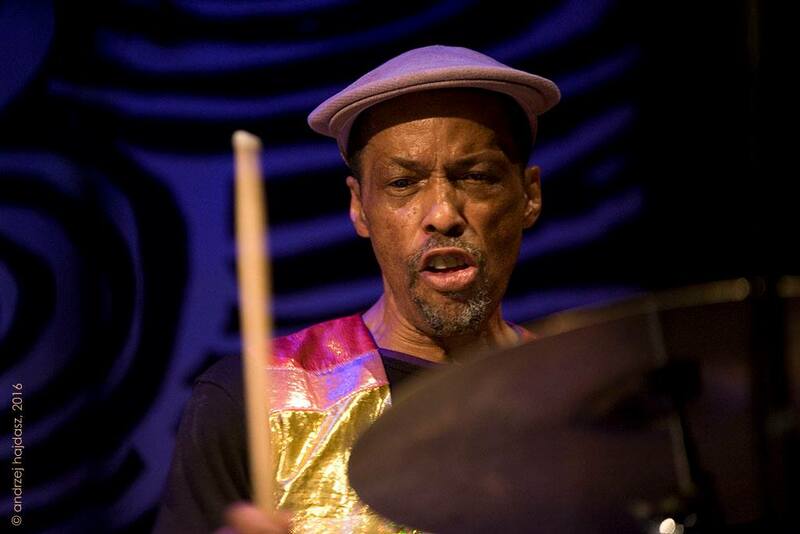 His style is reminiscent of the energetic Philly Joe Jones, negotiating tempo changes with a flair on Frank Foster’s “Simone,” a sort of waltz speed number that highlighted a remarkably cohesive rhythm section, put together for this occasion. 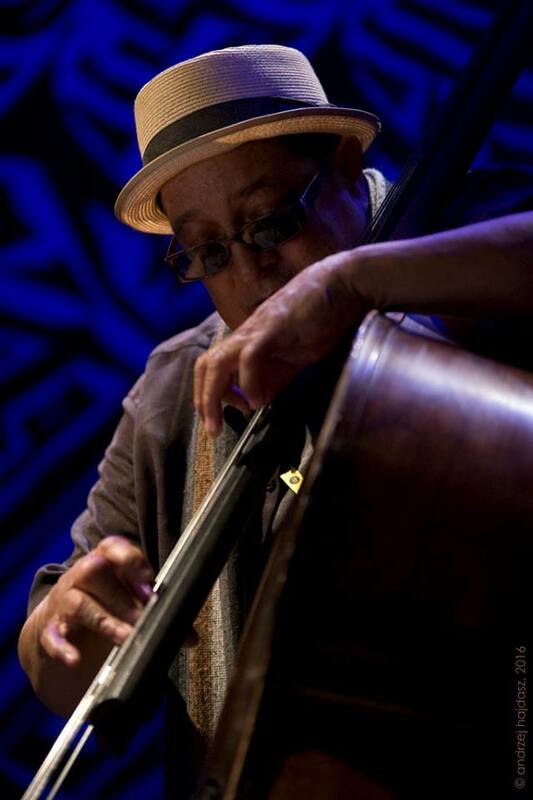 And I recall bassist Geoff Harper from his stint in the 1980s with the house band at “The Closet,” Henry Baker’s long-ago jazz club that was located downtown on Franklin Street. Then as now, there’s a steady, soulful quality– imperturbability– to Geoff’s bass. Nothing less would do, seeing as how “The Closet’s” house band was headed by the legendary Gary Bartz on alto sax, with Caton Castle regular Bob Butta on piano. On Hank Mobley’s “Breakthrough,” for example, Geoff’s intricate syncopation with Lenny’s racing drumbeat showed that the passage of time has only enriched his bouquet, as they say of vintage wine. There’s nothing like a ballad to bring out the best. The insistent tone of local standout Tom Williams’ trumpet– shades of Kenny Dorham– neatly complemented Juli’s plaintive tenor sax refrains on Horace Silver’s “Peace.” Contrast and compare, him and her: “For as the woman is of the man, even so is the man also by the woman; but all things of God” (1 Corinthians 11:12). Some of us admire the musical legacy of trumpet icon Chet Baker. His intonation and harmonic dexterity are so powerful that it’s a let-down when he breaks off into a vocal interpretation of a tune. Not so with Juli, she loses nothing in the transition. 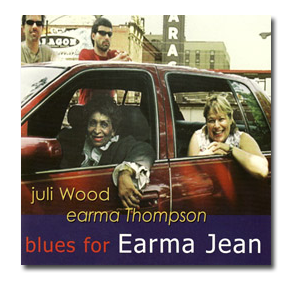 This comparison came to mind when Juli wistfully crooned Carmen McRae’s lyrics for Monk’s “Ask Me Now” to the hand-in-glove accompaniment of pianist Tim Murphy, who was thoroughly at home with Monk’s quirky rhythms. You live and you learn. Juli identified every tune performed by name and composer. 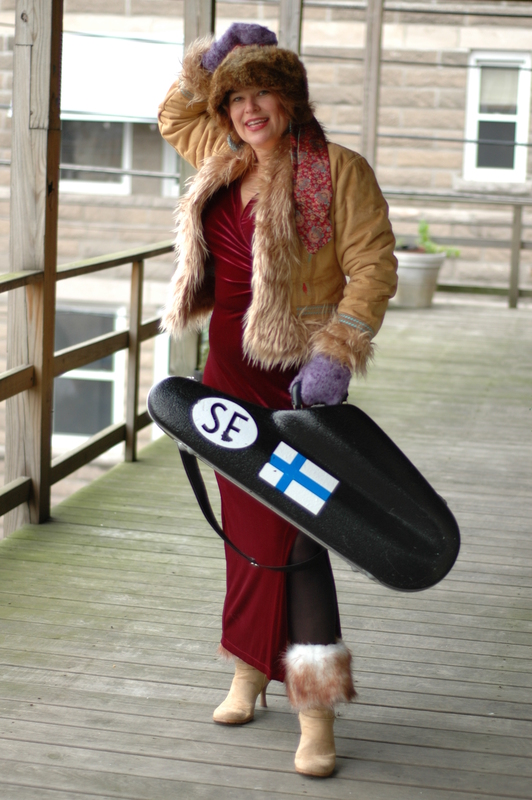 She is steeped in jazz tradition. In a word, the girl can play. 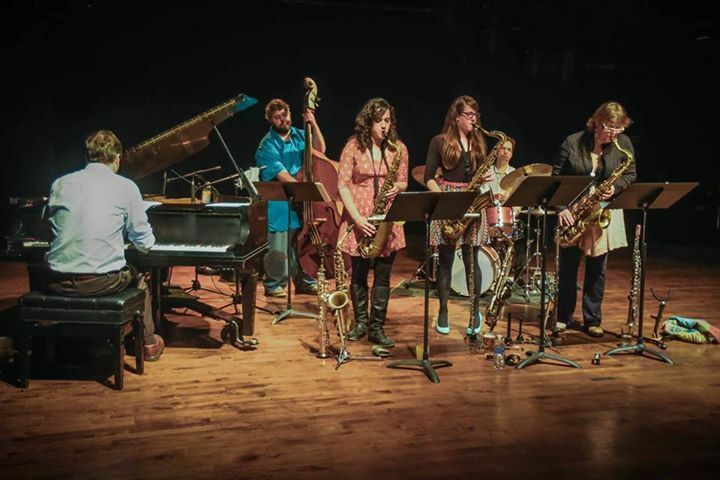 Modest Gryce – the tunes of Gigi Gryce at the Showcase Jan. 12 – 15 !! 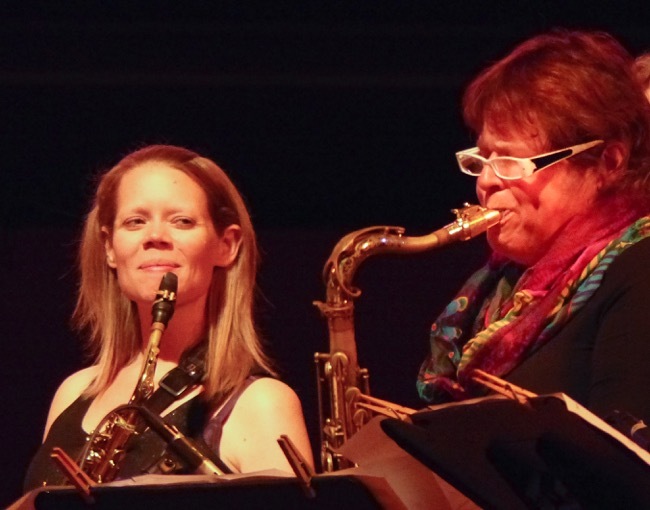 Can’t wait till January when Caroline Davis and I will team up again with a great band and present a weekend at the Jazz Showcase of some great tunes composed by alto saxophonist , Gigi Gryce ! He wrote so many wonderful pieces and recorded some of them with Kenny Dorham , Art Farmer, Donald Byrd, Richard Wyands, Mickey Roker and Art Taylor to name a few. 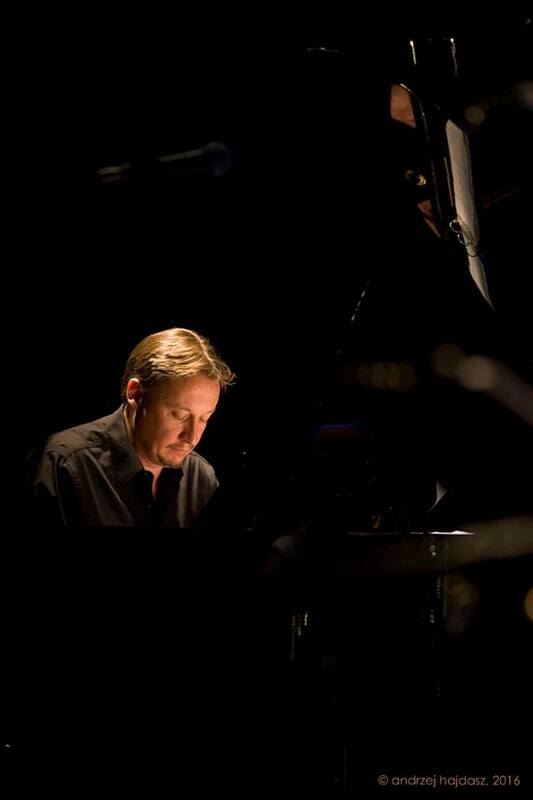 Playing with us are; Rob Clearfield – piano. Dennis Carroll – bass and from NYC , Jay Sawyer – drums. Come on down to the Showcase and get an earful !! Notes: Oh crap ! Aretha cancelled again , this time because of weather. Wonder if I’ll ever get a chance to play with the Queen of Soul ?! Notes: This is Morris Gearrings show featuring tunes written by Oscar Brown Jr called Something About Oscar ! Check it out ! Fantastic trip to Posnan Poland with Chicago Calling ! 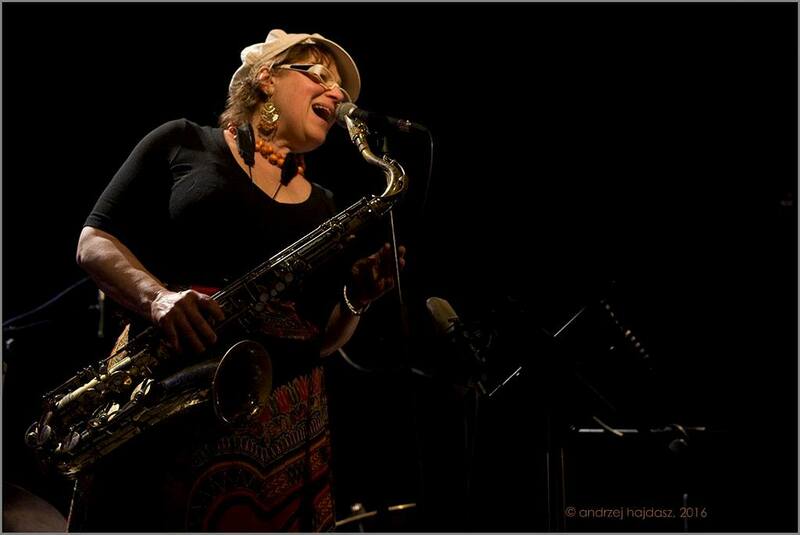 We had such a wonderful time in Posnan Poland playing for an enthusiastic audience at the ” Made in Chicago ” jazz fest. Thanks to Andrzej Hajdasz for the great pictures !